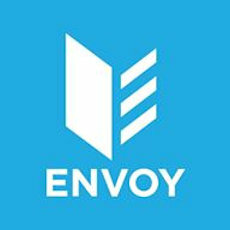 Envoy specializes in modern solutions for B2B wholesalers. By consolidating formerly fragmented systems and processes, the Envoy platform enablers wholesalers to provide buyers with product information, order tracking, inventory control and reporting. Envoy provides all the tools needed to create dynamic content and increase speed of sale, while providing a positive experience for customers. Envoy is a B2B sales and marketing platform that enables wholesalers to provide buyers with an easy-to-use, fast and accurate digital catalog and instant ordering workflow. Wholesaler sales teams can make a presentation and take an order right from the centralized, consolidated Envoy system. All order, inventory, and presentation needs are in one place. Envoy is ideal for field sales because it's accessible anywhere and always up to date, either online or offline. Envoy also helps marketers create relevant, interactive content and distribute it to the right buyers.